Step right in! You CAN fly! A suggested first step is to visit a nearby smaller airport and inquire about a "Discovery Flight" or "Introductory Flight". 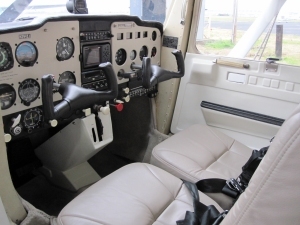 Most flight schools offer these which will include a brief first lesson with a Certified Flight Instructor ("CFI") where you will sit in the pilot's seat and get to handle the flight controls - typically when 1,000' or more above the ground. This will introduce you to flying with no commitment. If there is more than one flight school near you, you will want to visit them to get a good idea of how they conduct business and decide if they meet your expectations. Some schools are better, friendlier or more modern than others and you can determine if a slightly more expensive school may or may not be worth it. Excellent quality training. The military will invest over a million dollars in training you to be a pilot. Rapid progression to complex and / or jet equipment. It's free, and you will be paid an Officer's salary the entire time. Airlines tend to look favorably on military-trained pilots. The camaraderie among fellow Officers and pilots. A significant commitment of years to the military. Now typically nine years after attaining your wings. Deployments overseas, on board ship or to land-based locations that may not appeal to you or that take you away from your family for many months at a time. Tip: Pilot candidates that already have a Private Pilot certificate tend to find themselves at an advantage in the military flight training. ROTC, the Reserve Officer Training Corps can help pay for your college while attaining your degree. So, if you can qualify, I'd recommend looking into the military. Previously this was issued as a combined "Student Pilot Certificate / Third Class Medical Certificate" by an Aviation Medical Examiner. But now, the Student Certificate is a separate document issued by the FAA. Your CFI will help you get this, but it isn't required until you are ready to solo. The Third Class Medical Certificate is issued by an Aviation Medical Examiner. 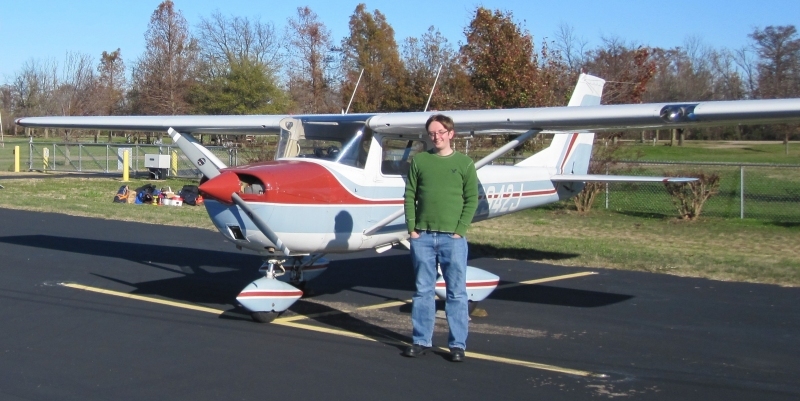 Like the Student Pilot Certificate, this isn't required until you are ready to solo. This is a fairly simple medical exam. The medical is valid for 5 years / 60 months if obtained when under 40 years old, 24 months if issued when 40 or older. See the "Basic Med" information and links under Private Pilot below. Flight instruction can be received at any age, but to solo an airplane, you must be 16 years old. Gliders and balloons can be soloed at age 14. The Student Pilot's logbook is signed by a Certified Flight Instructor ("CFI") to allow you to solo, and later, to take solo cross-country flights. No minimum hours are specified, but details of training required are spelled out in Federal Aviation Regulations ("FARs") 61.81 thru 61.95. Most pilots can solo in about 10 hours, but this is widely variable. Passengers may NEVER be carried by a Student Pilot. Allows carrying of passengers in relatively good weather - Visual Flight Rules ("VFR") both day and night. Third Class medical required. (Same duration as for Student Pilots listed above). May 1, 2017: New regulations allow many operations under "Basic Med". More detail here. Basic Med application is here. Specified flight training, solo and solo cross-country experience, a "Knowledge Test" and written recommendation from a CFI is required prior to taking the Practical Test (an Oral and Flight Test) from a Designated Pilot Examiner. 3 hours night, including 10 night takeoffs and landings and a 100 nautical mile night flight. 10 hours solo, of which 5 hours is solo cross-country, including one 150 nautical mile cross-country solo flight. FAR Part 141 allows some ground simulator time to be applied toward the certificate and has different requirements. Allows you to earn money for flying. A Second Class Medical is required. The medical is valid for 5 years / 60 months if obtained when under 40 years old, 24 months if issued when 40 or older. Minimum hours under FAR 61.129 : 250 hours. FAR 141 generally requires fewer hours. Another Knowledge Test and Practical Test is required. Allows flying in weather 'less-than VFR' or in 'Instrument conditions', such as in the clouds. Rating goes onto a Private or Commercial certificate. 50 hours cross-country time as Pilot in Command. 40 hours of simulated instrument time under the 'hood' - which is flying with an instructor while you wear a 'view-limiting device' allowing you to only see the instruments. Rating goes onto a Private, Commercial or ATP certificate. No Knowledge Test, but a Practical Test is required. Commercial Certificate and Instrument Rating (or ATP) required first. Allows you to teach flying - which many people do to build flying experience. Ratings on the CFI include: Single-Engine, Multi-Engine and Instrument. An extensive Knowledge Test and Practical Test is required. Minimum of 1,500 flight hours. Required certificate to be a Captain for an airline. A First Class Medical is required. The medical is valid for 12 months if obtained when under 40 years old, 6 months if issued when 40 or older (for ATP privileges). Occupational Outlook Handbook: Airline and Commercial Pilots Includes a link to a video about careers as a pilot.